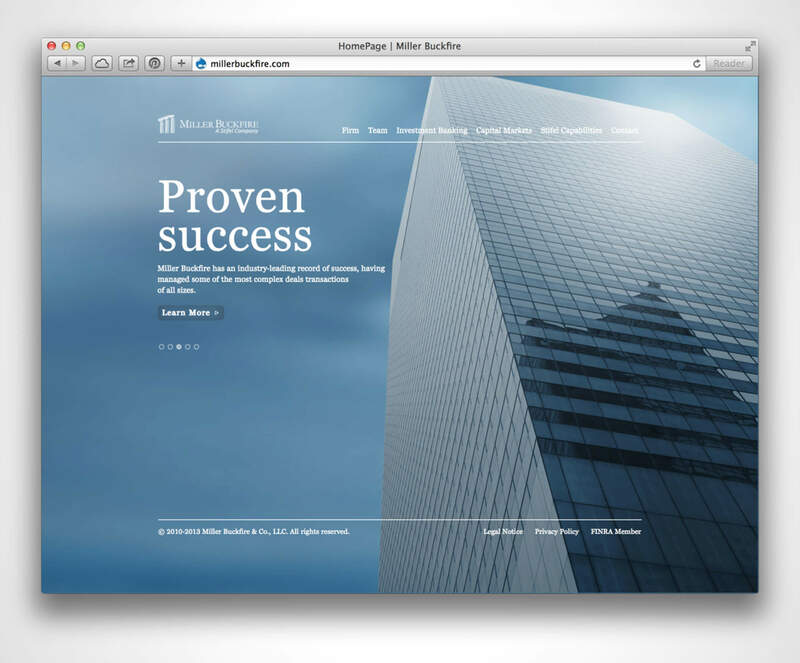 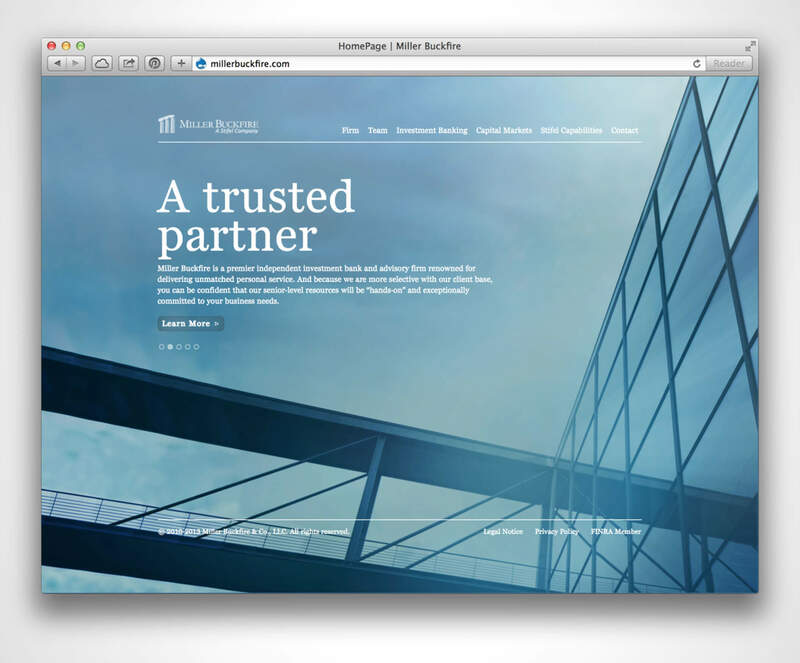 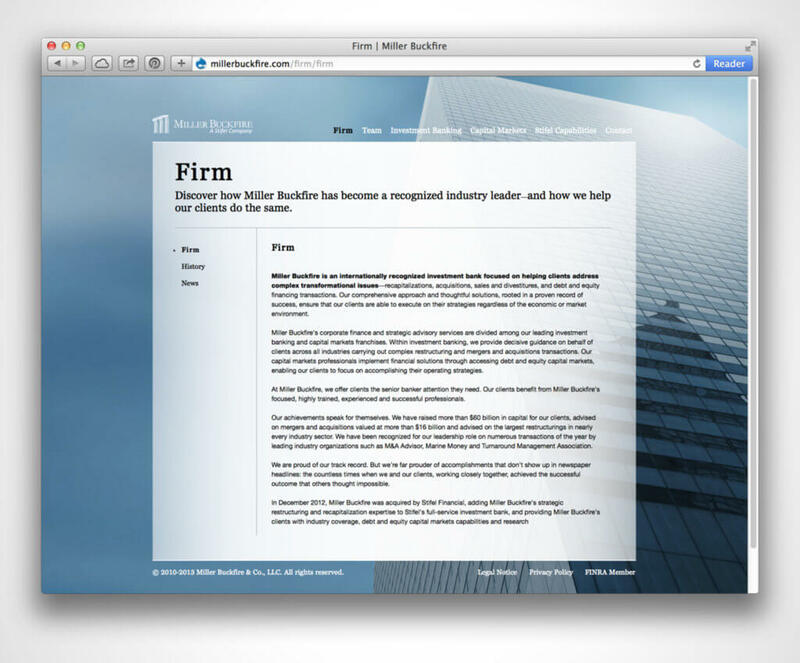 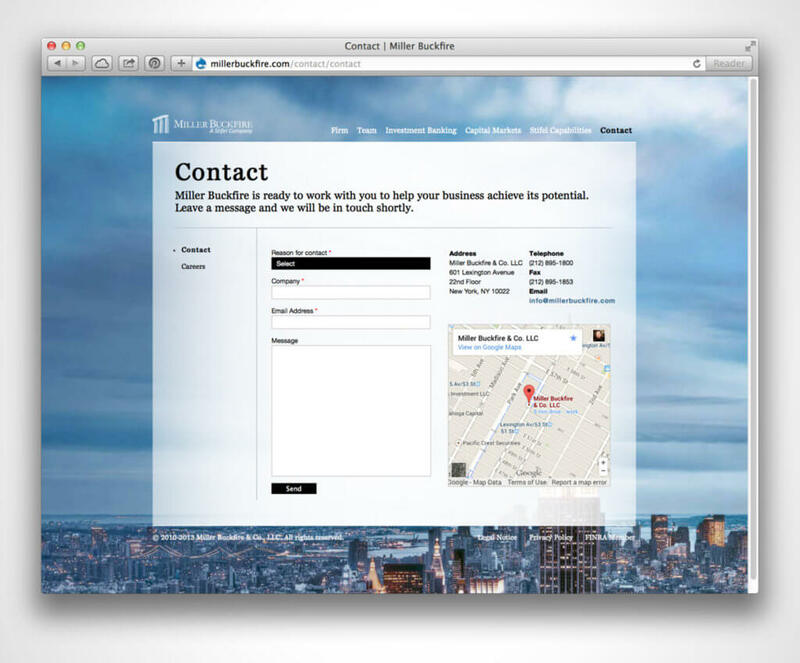 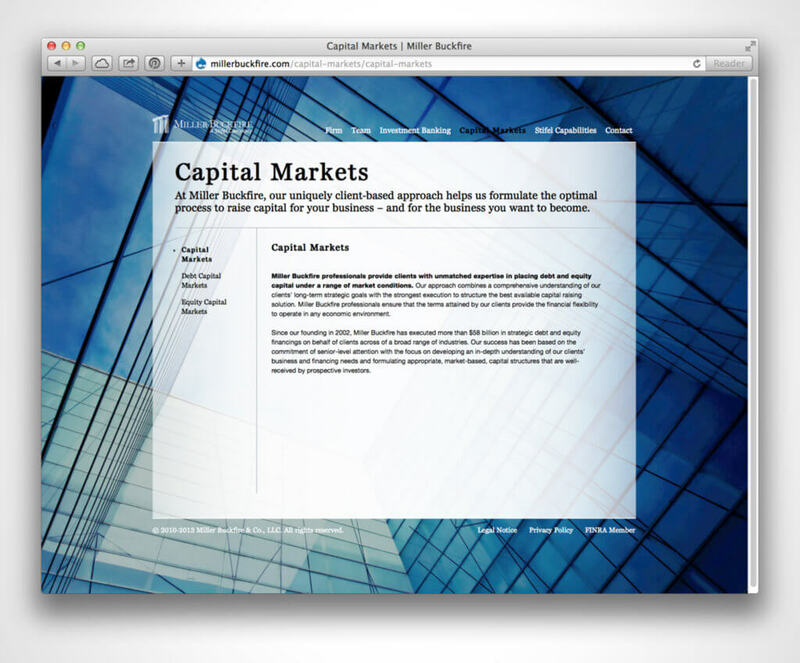 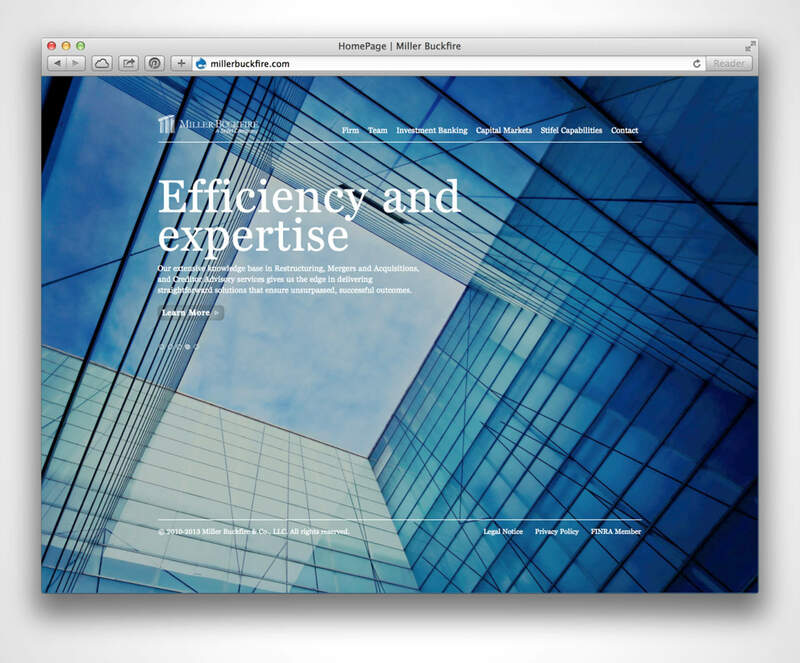 When I was at Launchpad I designed this website for the financial company Miller Buckfire. 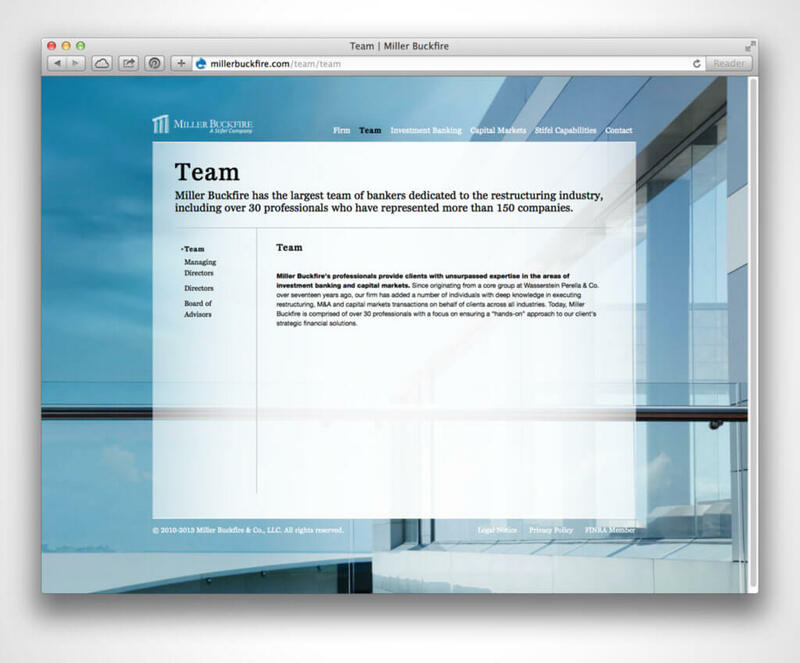 The company was in need of a site redesign. 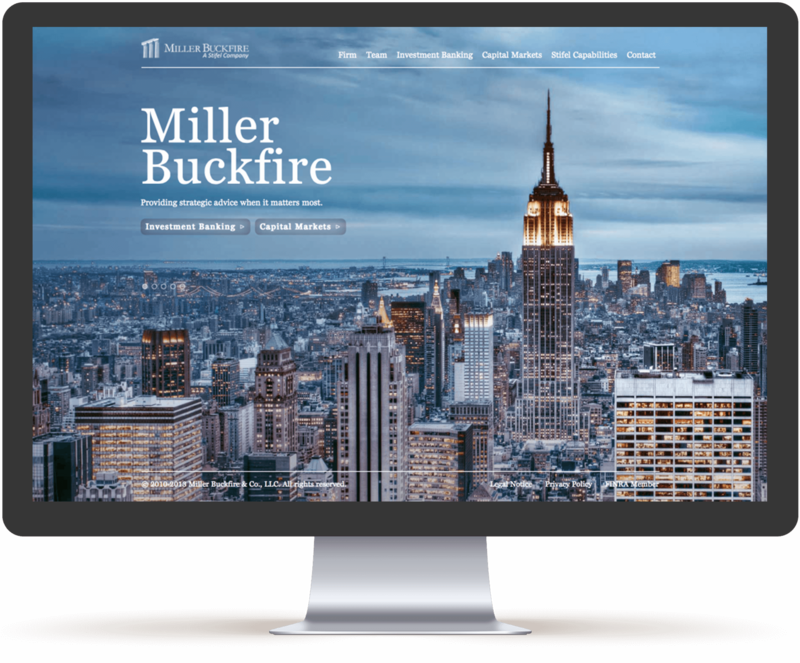 We wanted to create a simplistic but sophisticated look using rotating shots of New York based architecture as the wallpaper background. 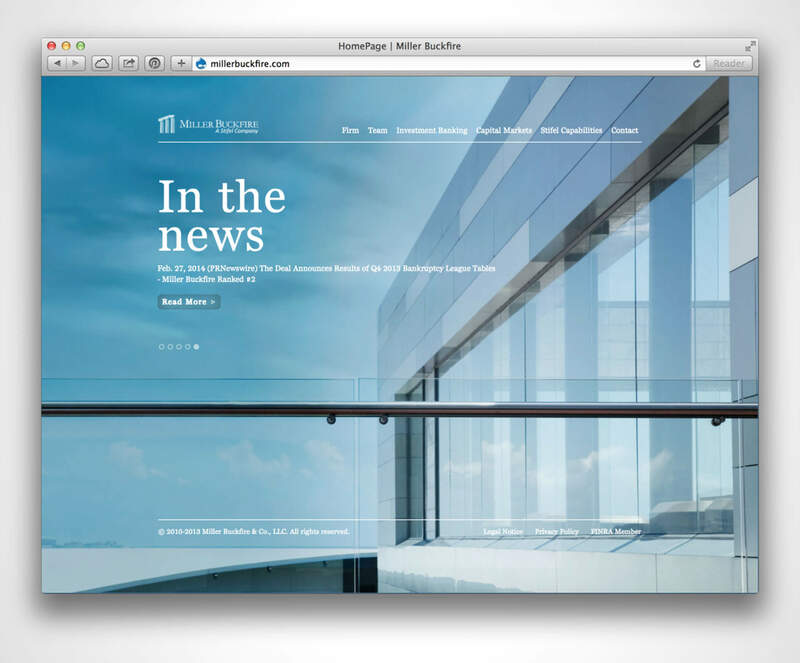 To see the site click here.